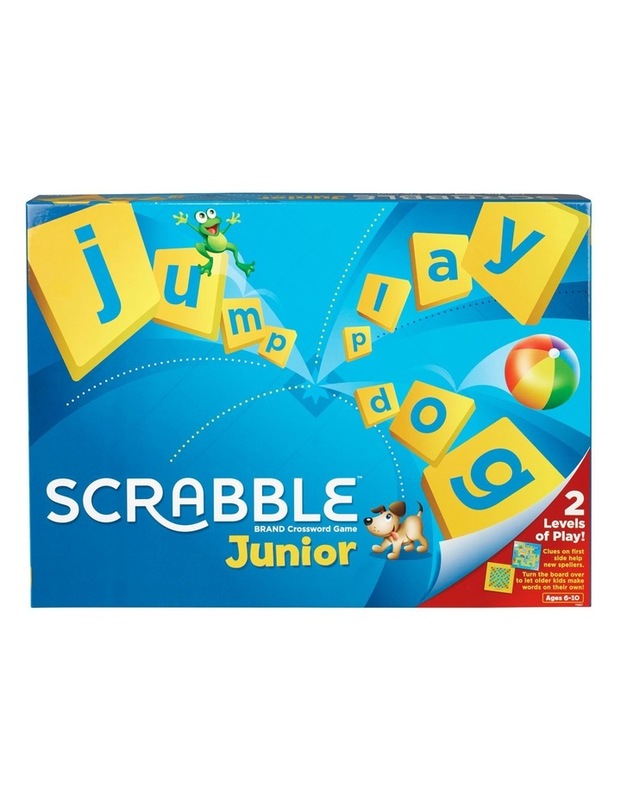 Playing SCRABBLE JUNIOR is a great way to make learning new words less of a chore and more of a thrill! With SCRABBLE JUNIOR kid-sized words and colourful illustrations make it fun for children to match letter tiles to words. Unlike the original adult version, players collect scoring chips for completing words . Once all the tiles have been placed on the board the player with the most scoring chips wins!